Instead of buying run-of-the-mill festive gifts this Christmas (we’re looking at you never worn before, light-up Santa gloves) grab some presents that you know the recipient will put to good use. Our buying guide today is all about fitness gifts and gadgets, from tops built for running in the cold and stocking filler extras to the latest fitness tracking tech and high-end accessories. If you’ve got a big budget to spend on a special someone, then check out our recommendations for a perfect yoga kit or a running outdoor kit along the way. The Misfit Shine bagged itself the Highly Commended Must-Have Fitness Helper of the Year prize in our recent ShinyShiny Awards due to the fact it’s an accurate activity tracker that looks pretty damn good too. 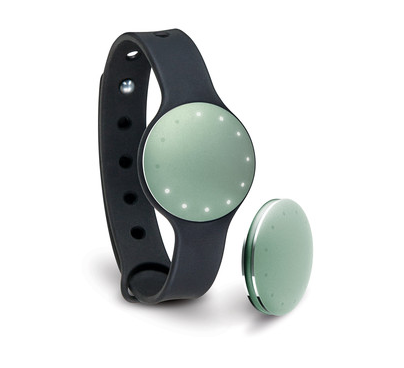 In fact, out of all the wearables on the market at the moment the Misfit Shine probably makes the best gift because it’s colourful, it looks great, it can be worn straight away AND you can buy a bunch of extras to go with it if you’re feeling generous! Aside from looks, the Misfit Shine is a high performer, serving up data about how much you’ve moved, how well you’ve slept and the quality of your exercise. It’s one of the few mainstream fitness trackers on the market that’ll accompany you to the pool and track your activity while you’re doing lengths (yes, we’re looking at you Fitbit Flex, why do you ignore us at the pool?! ), so it’s a must-have if you’re buying for a keen swimmer. There are some awesome bright colours to choose from, we love the Seaglass (pictured above) or the Topaz, but bear in mind this is the kind of tracker you’re meant to wear 24/7. So you could either go with a statement colour you know your recipient will love or opt for a subtle, go-with-everything shade instead. Head on over to Argos to pick one up for £79.99, but don’t forget to check out our full review of the Misfit Shine first. 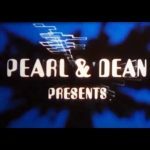 Under Armour has been well and truly on our radars since Misty Copeland teamed up with the brand to produce this truly breath-taking video about her experience as a ballerina. 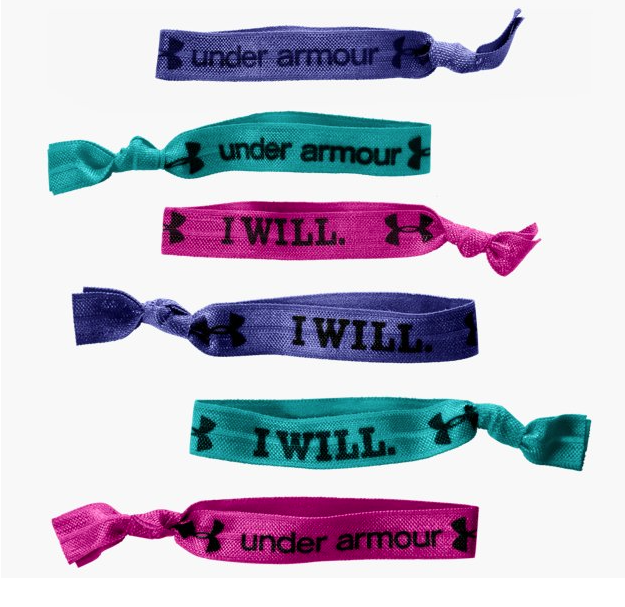 This mean that anything with ‘Under Armour’ stamped on it is bound to be a hit among fitness fans, and it just so happens that these hair ties are colourful and would make awesome little stocking fillers for long-haired friends and family to boot. Tip: For a perfect yoga starter kit, team these up with the Non-Slip Yoga Socks at number 9 on the list, the Yoga Fan at number 11 on the list and the Manuka Yoga Mat Bag at number 13! You can pick these up from Under Armour for £8. These Bobble water bottles are literally everywhere due to their quirky design and water-filtering capabilities. I’ve been using one for a few months and can genuinely taste the difference between pre and post ‘bobbled’ water. Although it’s not an ideal present for runners, it’s a top little addition to anyone’s workout or yoga bag. 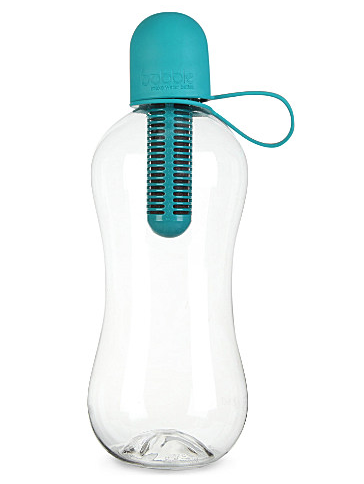 You can get Bobble bottles in a range of different colours from Selfridges for £12.95. Long running tights make working out in winter just a little bit more bearable, so they’re a perfect gift if you know a runner who might be keen to get moving a bit more. 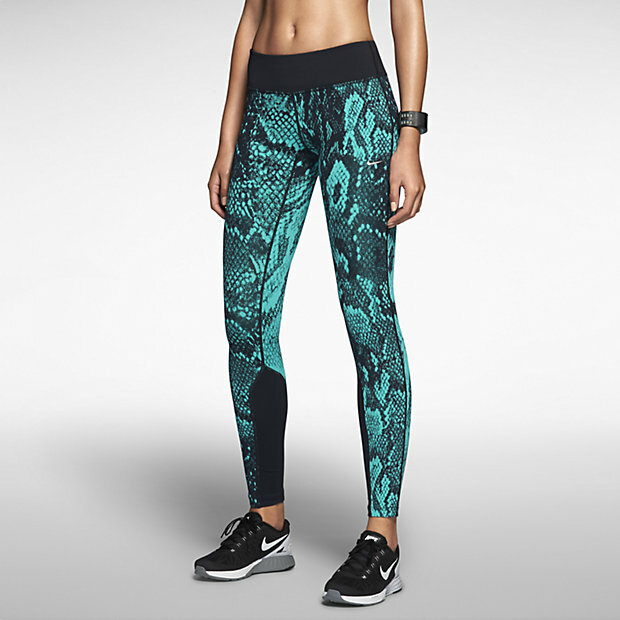 These tights from Nike may not be the best option for gift buying on a budget, but their price tag is down to the fact they’re made from the brand’s Dri-FIT fabric, which means they’re super stretchy, comfortable and will dry quickly if you get caught out in the rain or tend to sweat a lot. They’re supportive but comfortable too, with a drawcord waistband to ensure they fit perfectly and a little secretive zip picket in the back – ideal for keys or a bank card. If you think the super bright turquoise snakeskin is a little OTT for a gift (we don’t think it is, FYI) then you can get the same design in white and black or grey and black too. Tip: If you’re keen to splash the cash and want to create a big winter runner’s gift kit, then also grab the neck gaiter at number 7 on the list, the Y-Fumble Arm Band at number 15 on the list and the Run With Me Ear Sherpa at number 17! Grab a pair from Nike for £80. The Fitbit Flex managed to win the top prize in our Must-Have Fitness Partner awards category this year because it’s a really capable tracker and it’s one of the most comfortable that we’ve reviewed. The great thing about the Fitbit Flex is its simple interface and no-fuss setup means it’s a good all-rounder gift for those already dedicated to fitness through to those who may just be keen to move a little bit more throughout the day. There’s very little pressure on you when it comes to choosing the colour too, because whoever you buy a Flex for can get their hands on different coloured straps and switch them out whenever they like. 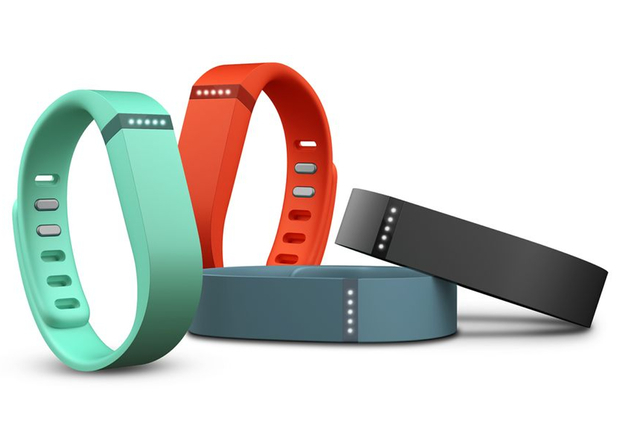 You can grab a Fitbit Flex in a number of different colours from Argos for £79.99. Check out our full review of the Fitbit Flex first though! We’d be happy with anything from Lululemon under the tree this year, but this Rest Less Pullover is a perfect mid-layer whether it’s worn out running, on a ski trip or just going shopping. The material is specially designed with fitness in mind because it’s able to absorb sweat without getting all soggy and has a cute little thumb-hole too! Adorable, right? It’d make a great multi-purpose gift for any level of fitness fan and brightly-coloured pullovers always go down well at Christmas anyway! If you’re buying for someone who likes running or training outdoors then a decent neck gaiter would make a great stocking filler. It can be really tough to find something that covers up your neck and stops the cold from deeming you completely useless that’s light and wearable when you’re working out at the same time. 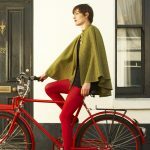 There are lots of different options to choose from but we like this subtle option from Barts at John Lewis, which would fit right in on a hike, a run through the city or just a trip to the shops. Tip: If you’re keen to splash the cash and want to create a big winter runner’s gift kit, then also grab the Nike Luxe Tights at number 4 on the list, the Y-Fumble Arm Band at number 15 on the list and the Run With Me Ear Sherpa at number 17! You can buy one from John Lewis for £14.99. 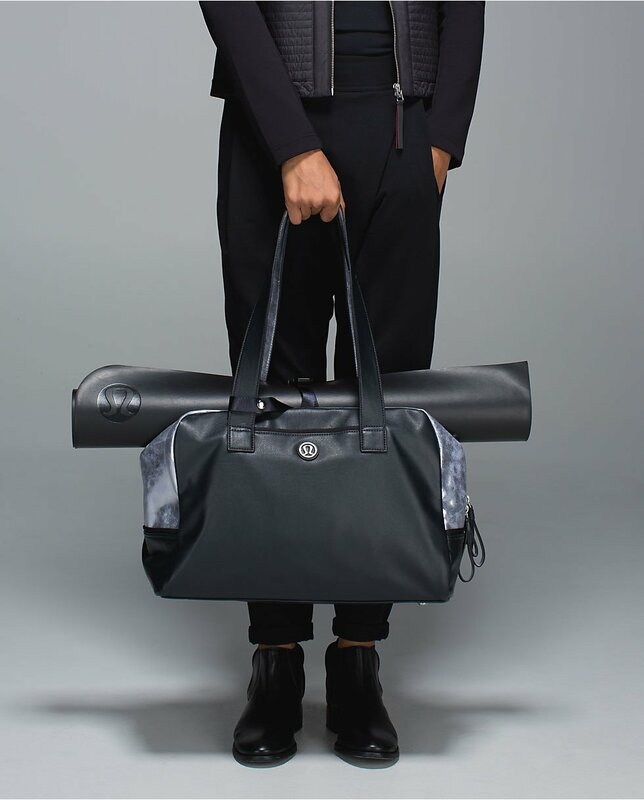 Lululemon’s popular Urban Sanctuary bag can be used for so many purposes, maybe if you like to stash a lot of stuff it’ll do as a day-to-day holdall (it has a cushioned pocket for laptops!) and could also be a handy weekend bag too. But, it’s specially built with yoga lovers and gym bunnies in mind with its pockets for water bottles and gadgets, yoga mat strap and a special section to keep sweaty gear away from anything else. At £118 it’s not cheap, but would make an ideal luxury gift for city dwellers who like to carry everything they need with them in one big bag. You can get your hands on one from Lululemon for £118. 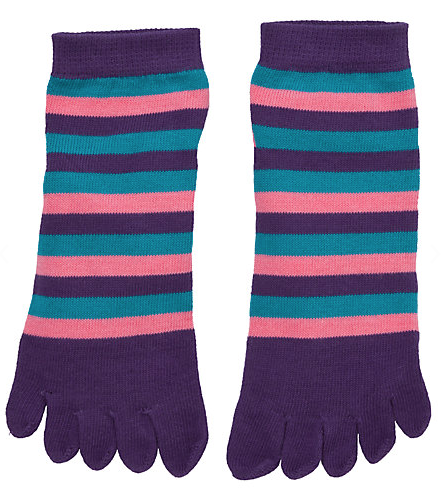 These socks may look a bit silly (check out the little toe sections, adorable! ), but they’re specially designed with yoga in mind as they have a clever non-slip sole. A perfect stocking filler for yoga lovers or those keen to begin the practice as soon as they’re done eating mince pies and downing the mulled wine! Tip: For a perfect yoga starter kit, team these up with the Under Armor Hair Ties at number 2 on the list, the Yoga Fan at number 11 on the list and the Manuka Yoga Mat Bag at number 13! Buy them at John Lewis for £7. 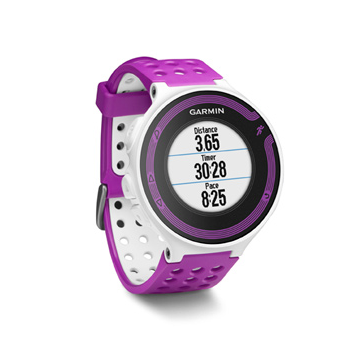 Garmin produces a huge range of wearable tech products, but it’s not just about general activity tracking with Garmin’s gadgets, some ranges are specifically designed for serious runners in mind. The Forerunner 220 is a high-end tracker packing a GPS running watch with a colour display, which keeps tabs on the distance covered, pace and heart rate. You don’t have to opt for a bright pink version, but it’d make a colourful addition to anyone’s workout gear. Do remember this is only worth forking out the cash for if you’re buying a gift for a very very serious runner (and have a big budget!). Tip: If you’re looking for something from Garmin that’s more geared up for regular consumers than the Forerunner, then we’d highly recommend the brand’s activity tracker, the Garmin Vivofit (check out our review of the Garmin Vivofit). 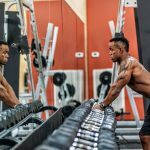 It’s great for those into fitness that don’t just run but love shaking up their workouts with different kinds of activity throughout the week. You can get your hands on a Garmin Forerunner 220 from John Lewis for £209.99, but if you’re looking for something a little more basic, opt for the Garmin Vivofit from John Lewis for £59. 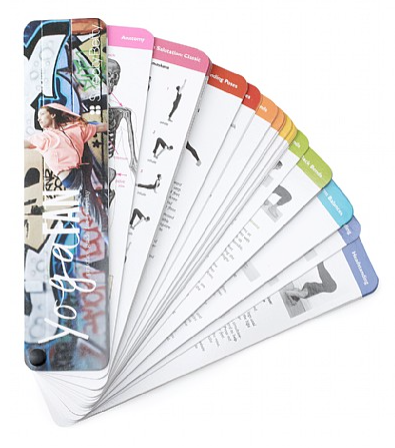 This Yoga Fan from Sweaty Betty is a really handy visual guide to a Vinyasa yoga sequence. This makes it an ideal gift for beginners and more advanced yoga-lovers alike, providing them with a step-by-step walkthrough of a really enjoyable practice complete with big images about how to get posture and stance just right. Tip: For a perfect yoga starter kit, team these up with the Under Armor Hair Ties at number 2 on the list, the Non-Slip Yoga Socks at number 9 on the list and the Manuka Yoga Mat Bag at number 13! If you’re looking to treat someone to fancy workout gear this Christmas, then look no further than Lululemon. The brand produces great-looking, high quality sportswear with the best finishing touches. One of my favourite picks are these Boogie Shorts. The brand makes them in a number of fabrics and patterns, but there’s something special about these with a faded floral print. They’re an ideal gift if you know someone who likes indoor workouts, like gym visits, classes or a lot of yoga, but give them a miss if you’re buying for someone who prefers outdoor running – these are not UK friendly! 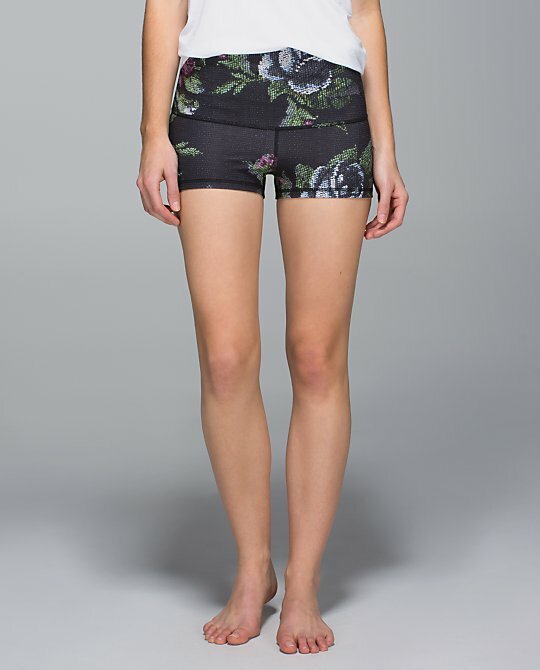 These shorts are available from Lululemon for £42. 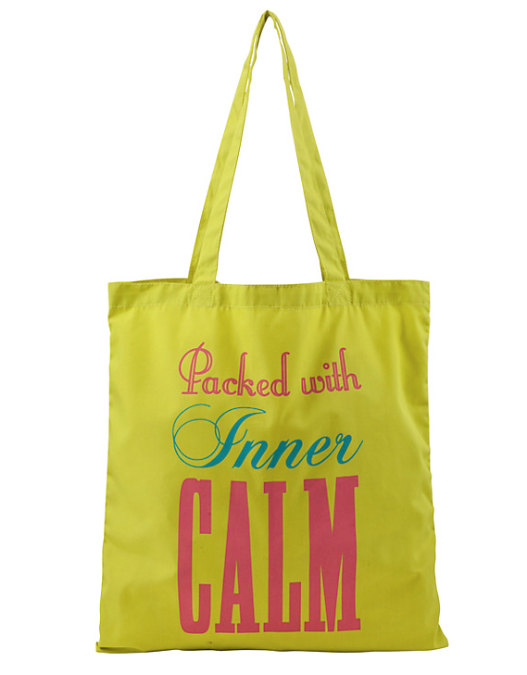 A bright, colourful and functional gift, this Manuka bag keeps yoga and pilates mats safe and offers a handy strap to carry them around in style. 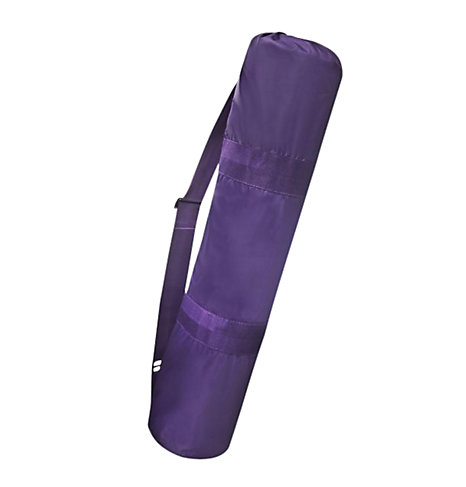 We love the deep purple shade and think it’d make a great budget present for anyone who likes indoor workouts. Tip: For a perfect yoga starter kit, team these up with the Under Armor Hair Ties at number 2 on the list, the Non-Slip Yoga Socks at number 9 on the list and the Yoga Fan at number 11! Get your hands on the bag/mat hybrid from John Lewis for £15. 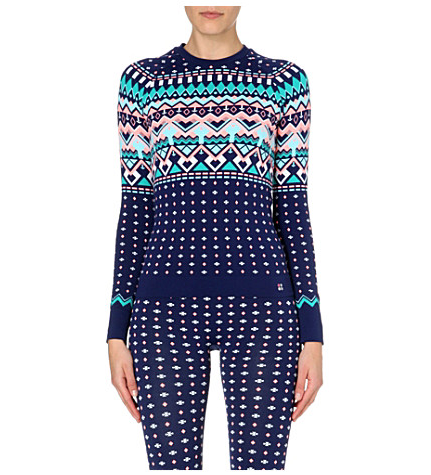 If you’re buying for someone who loves skiing, or plans on taking a snowy trip in January, then this adorable and rather festive ski top from Sweaty Betty should be top of your to-buy list. 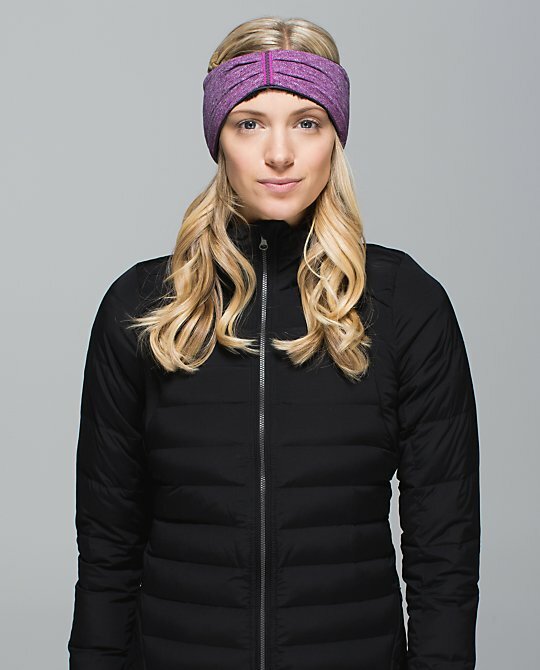 It’s made of a super soft fabric that wicks sweat away and it’s completely seamfree too, which means it’s not going to feel uncomfortable or gross and sweaty under lots of layers after skiing all day. 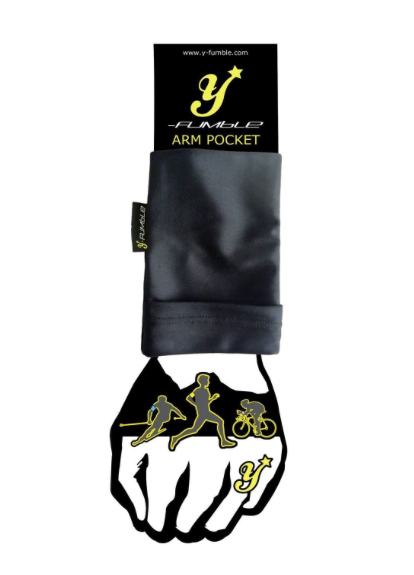 The Y-Fumble is an ideal gift for outdoor runners or keen gym goers. It looks like a regular armband, but it’s actually just a piece of super soft and super stretchy fabric that’s designed like one tight-fitting pocket on your arm, making it much more comfortable and handy than similar accessories. I’ve opted for the basic black in this gift guide, but you can find different patterns and colours too, a great stocking filler! Tip: If you’re keen to splash the cash and want to create a big winter runner’s gift kit, then also grab the Nike Luxe Tights at number 4 on the list, the Neck Gaiter at number 7 on the list and the Run With Me Ear Sherpa at number 17! Available from Amazon from £5.73. Running shoes are a pretty hard gift to buy, so only opt for them if you’re 100% sure you know the recipient’s feet well! If you’ve got that knowledge (like size and maybe even running style), then Nike will probably be your best bet because its products are always of a really high quality (and also, that iconic swoosh is still undeniably cool). 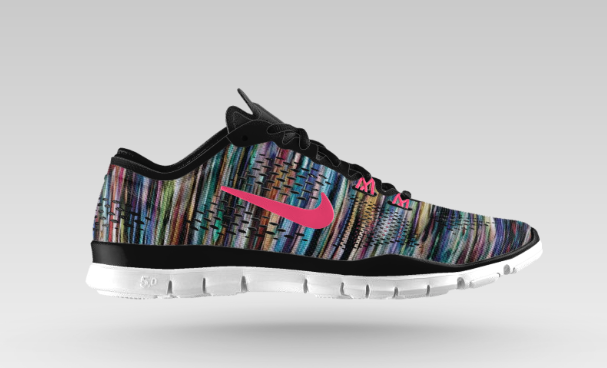 If you’re feeling particularly adventurous you could even custom design a pair of these Nike Free Training Shoes with Nike ID. Available from Nike from £115. 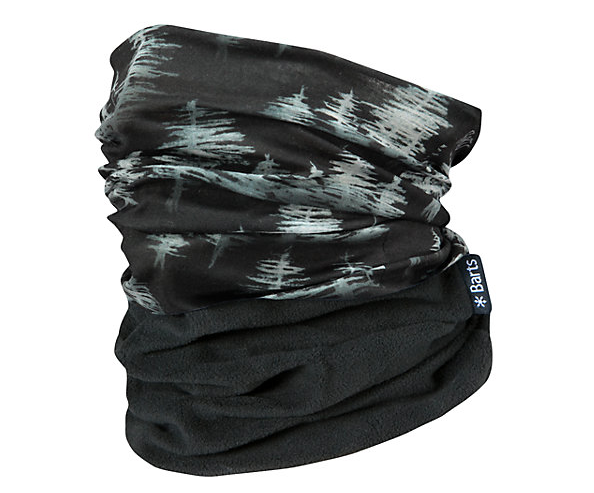 Ideal for outdoor runners, this Run With Me Ear Warmer from Lululemon will ensure head and ears stay toasty even when they’re out in the cold. It has a fleecy underlay, wicks sweat (keeping ears warm but not sticky) and has a number of reflective stripes for night time exercise too. Tip: If you’re keen to splash the cash and want to create a big winter runner’s gift kit, then also grab the Nike Luxe Tights at number 4 on the list, the Neck Gaiter at number 7 on the list and the Y-Fumble armband at number 15! 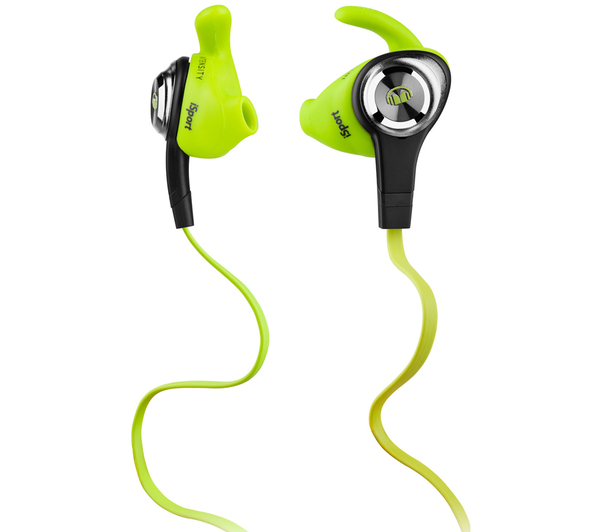 There are tonnes of headphones on the market for runners and sports fans, but these from Monster are some of the most comfortable and secure, which are arguably the most important factors when you’re buying tech built for fitness. They also have a remote, microphone and volume control in a handy spot and they’re sweat resistant. They’d make a really great gift for any kind of fitness lovers, just make sure you grab a Y-Fumble at number 15 on the list too! Available from Currys for £69.99.